Our commercial drilling division has completed a wide range of unique and challenging projects. We have first-hand knowledge of engineered specs and requirements for commercial well installation, from government work to small manufacturing. With each job, we have acquired the experience to install wells with up to 14” casings in the most challenging conditions and using high-grade materials such as stainless steel. Our specially trained system installation specialist can customize solutions to suit your water system needs. Public Water Supply wells are drilled regularly to supply shared water systems such as housing developments, where a certain amount of water taps are required. These wells are regulated by the state environmental health section. The installation and inspection process and requirements differ in each state. 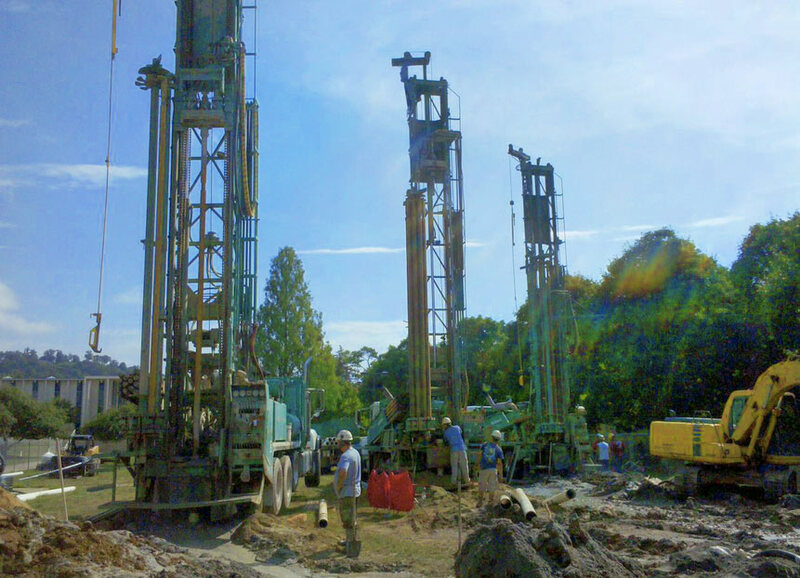 Our teams have years of experience in drilling and installing public wells for numerous developments. For a customized quote, call us today, and we’ll come to inspect your job site to provide recommendations and solutions to suit your needs. Since our region is very dependent on agriculture, many farms and fields are relying on water wells. Often these types of wells require large amounts of water and in turn mean varying size installations. Utilizing our years of project experience, we can provide the best available solutions to supply your acreage with the right amount of irrigation to meet the needs of your crops.